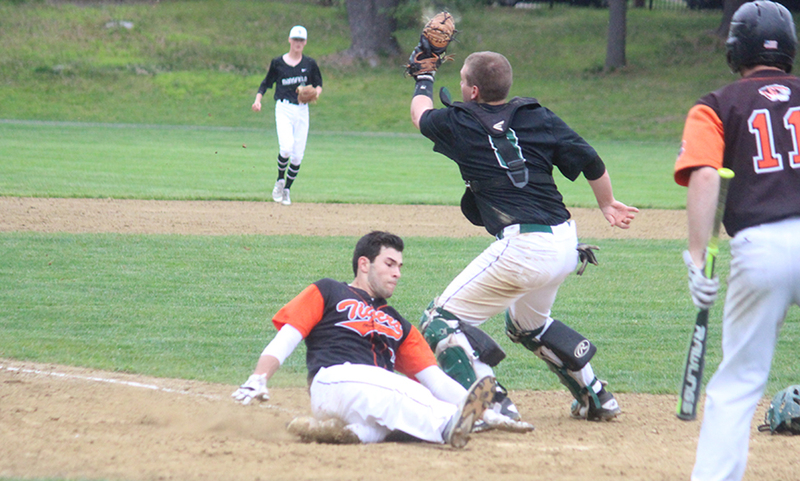 Oliver Ames, 4 vs. Falmouth, 7 – Final – Oliver Ames rallied from a 4-0 deficit to tie the game with a run in the bottom of the sixth, but Falmouth rattled off three runs in the top of the seventh to get the win. Matt Muir led OA with three hits while Josh Minuskin and Sam Burr each had a pair of hits for the Tigers. 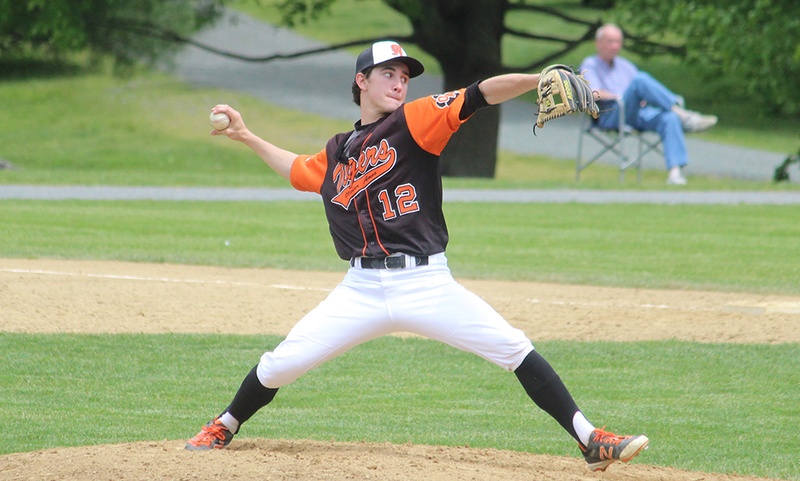 Taunton, 13 @ Sharon, 3 – Final – Freshman Jack Moynihan earned his second career win for the Tigers, tossing six innings while scattering five hits. He struck out four and allowed just a pair of earned runs. Senior Danny Noonan reached base four times, including three hits, and scored four runs. Senior Matt Machado added four hits, two runs and an RBI and sophomore Christian Simoes had three hits and knocked in four runs. Stoughton, 2 @ Attleboro, 3 – Final – Attleboro won a pair of matches in singles play and earned a win at first doubles to get the win. Timothy Vermilyea won 6-1, 6-2 at first singles and Tyler Letendre won 6-2, 6-4 at second singles. Zain Yusuf and Shaun Gordon teamed up for a 6-2, 6-2 win at first doubles for Big Blue. Stoughton, 2 @ Attleboro, 3 – Final – Attleboro took a pair of wins from singles play and one win in doubles to edge the Black Knights. Abbey McGrath won 6-4, 6-3 at second singles and Kassandra Alves picked up a 6-3, 6-2 decision at third singles. The Bombardiers clinched the win with a 7-5, 6-3 win from Merri Piazza and Jamie Pratt at second doubles. Taunton, 1 vs. Durfee, 3 – Final – Taunton tied the match up after dropping the first game but the Hilltoppers claimed the final two sets to get a 25-16, 19-25, 25-17, 25-19 win over the Tigers. Lance Law led Taunton with 16 kills and 14 digs, also adding an ace. Malik Charles also had a good game for Taunton with five kills and three blocks.